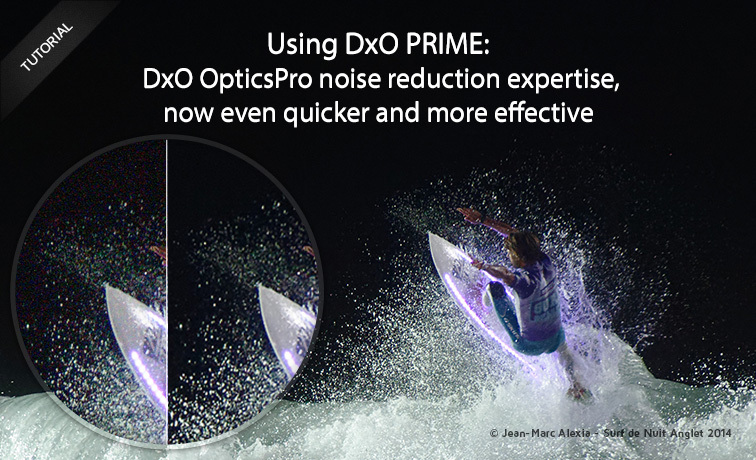 Since its first appearance in DxO OpticsPro 9, DxO PRIME noise reduction has continued to evolve in both effectiveness and speed. Today, the latest version (available in DxO OpticsPro 11) is up to four times faster, with unrivaled quality. Before now, we recommended that you use DxO PRIME only occasionally because of its longer processing time. But its improved performance means that you can now plan on using it as a regular part of your workflow. Further, you may want to use it on older photos or on photos you thought were unusable to give them new life and to bring out their best. DxO PRIME technology presents a certain number of decisive advantages when processing images taken at high ISOs (and thus containing digital noise). By eliminating noise while preserving details and colors, DxO PRIME makes it possible to consider shooting at the very highest sensitivities, thereby opening a wide field of possibilities for photographers who want to exploit the spectacular advances of the latest generations of DSLRs. But DxO PRIME goes even further, letting you recycle and process old photos that you thought were hopelessly unusable. 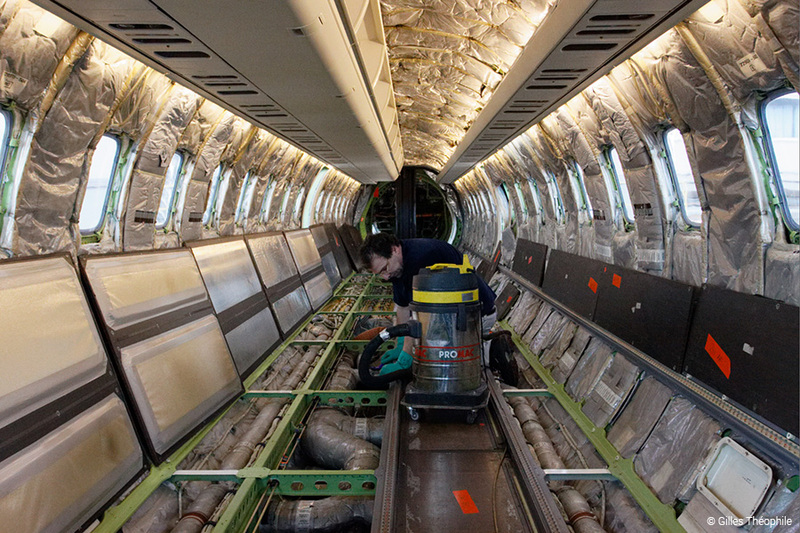 And that’s not all: using DxO PRIME isn’t limited to photos taken at very high sensitivities. Thanks to its ability to preserve details and colors, you can use it to effectively process images taken at the lowest sensitivities, commonly shot with cameras that tend to generate noise in shadows and dark tones — something that was, up until now, a real handicap in terms of post-processing. Thanks to DxO PRIME technology’s constant progress in terms of its speed and the quality of its results, you can now use the 2016 edition, integrated into DxO OpticsPro 11, in your daily workflow. And it’s there that, once again, RAW format demonstrates its advantages, as it allows DxO PRIME to exploit the maximum amount of data in order to bring out the best in your images. (For more information, see our tutorial , Why shoot in RAW format ?). 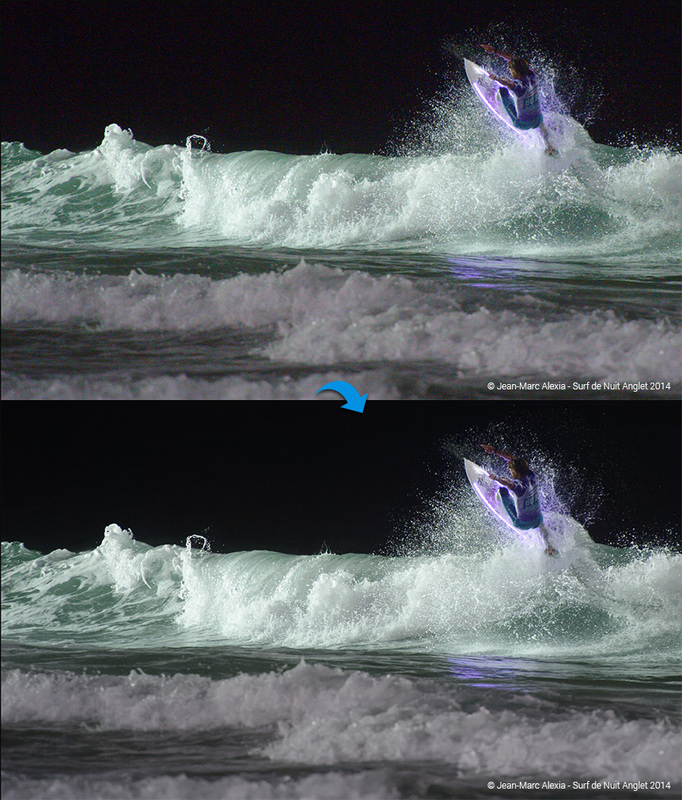 By default, DxO OpticsPro applies HQ (Fast) noise reduction mode as soon as you open an image in the application. HQ (Fast)mode works on both RAW and JPEG files. 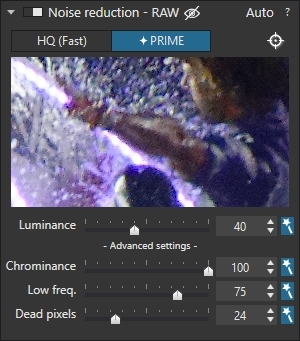 By contrast, DxO PRIME can only be used with RAW files. Moreover, because of its powerful calculations, and contrary to HQ (Fast) mode, you can preview the results of DxO PRIMEdenoising only in the Noise reduction sub-palette window, and only for a small portion of the image (roughly 260x150 pixels) at a time. 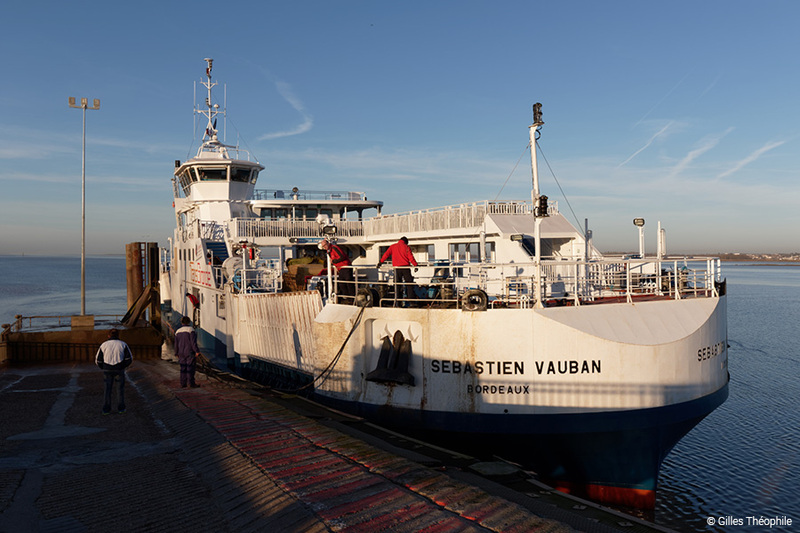 The final noise reduction for the entire image takes place upon export. The Noise reduction sub-palette with DxO PRIME activated. Open a RAW image in DxO OpticsPro. In the Noise reduction sub-palette (Essential Tools or Detail palette), click on the DxO PRIME button (which turns blue). The preview window will display a portion of the corrected image. To change the portion of the image that will appear in the preview window, click on the Center magnifier button to the right, above the preview. Move the preview frame embedded in the image to the location you want to preview. The preview will be automatically refreshed. To apply DxO PRIME denoising, export the image (or the set of images to be batch-processed). Uncorrected / corrected image at ISO 12 800 (zoom at 100%). DxO PRIME is particularly effective at preserving details: here, the multiple water droplets are perfectly reproduced and are not confused with noise (comparison at 200%). DxO PRIME also respects colors: the purple light on the board and the pastel-green hue of the waves are impeccably restored (comparison at 100%). If you want, you can manually reduce noise by using the sliders located in the Noise reduction sub-palette. Starting with DxO OpticsPro 11, for simplicity’s sake, DxO PRIME badges are no longer displayed on thumbnails of images processed with DxO PRIME. DxO PRIME is not limited to processing images taken at high sensitivities. Certain low-sensitivity cameras potentially have noise in shadows and low light that reveals itself when you try to increase the overall brightness. With/without processing the noise in the shadows (comparison at 100%). One of the significant advantages of DxO PRIME is the ability to process and recover photos taken with older digital cameras — photos that you thought were unusable because they were too noisy. Image taken at 3200 ISO with an old (2009) reflex camera.